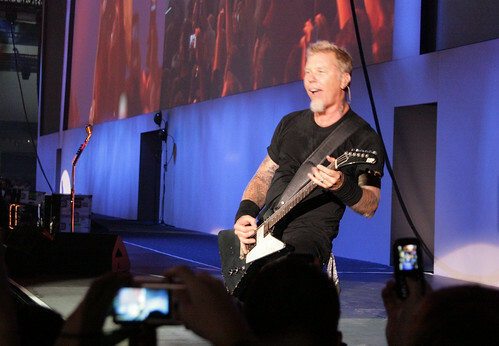 Metallica @ Dreamforce ’11 | ¿Qué Onda Guero? 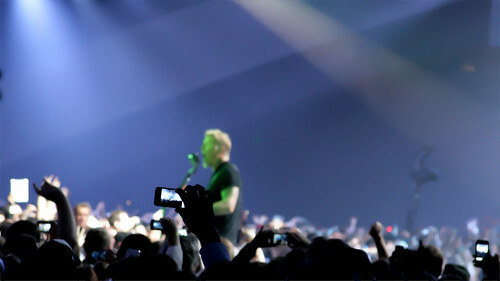 From the archives, some shots of Metallica performing at Dreamforce ’11. People weren’t supposed to take video but I don’t see how that rule can be enforced in this day and age. I think every device in this photo is capturing video. 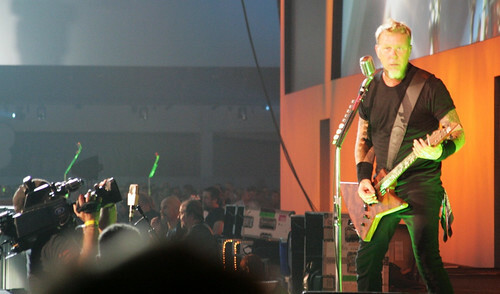 Lead singer James Hetfield entertains the crowd on the right side of the stage. He happened to glance right in my direction as I snapped this shot. 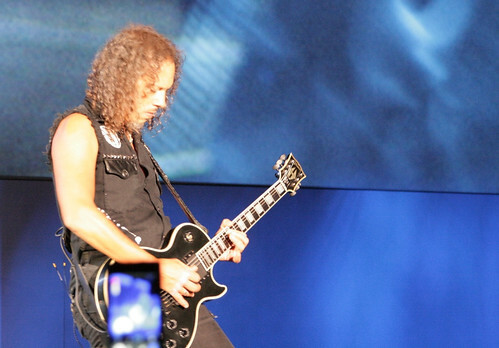 Guitarist Kirk Hammett visits the right side of the stage. The band takes a bow on the big screen at the end of the show. This entry was posted on Monday, March 19th, 2012 at 5:32 pm	and posted in Uncategorized. You can follow any responses to this entry through the RSS 2.0 feed. I assume you got these from “someone else’s” camera? 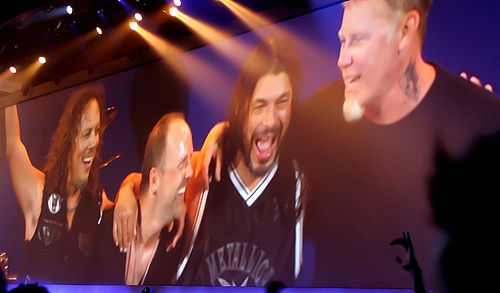 That one dude from Metallica is the one who is all uptight about video and his copyright infringement stuff. I think he’s fighting a losing battle. Riiight, “someone else’s” camera. And I’m not really “Nate Kauffman”. Different guy entirely. I agree about the fight against digital sharing. Waste of time and money. For the record, still photography was allowed. I didn’t shoot any video.